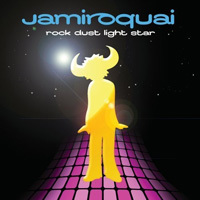 Rock Dust Light Star is the seventh studio album by Jamiroquai, and was produced by Jay alongside first time collaborators Charlie Russell and Brad Spencer. This is the first album released by Mercury Records, which is a part of Universal Music. 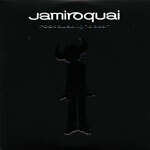 The album was officially announced on 16 August 2010 by a post at Jamiroquai.com, although pre-orders for the album were available on some online stores the previous day. 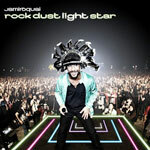 We think at a time when many acts are producing electronic, disco influenced tracks, with 'Rock, Dust, Light, Star' Jamiroquai has moved on and reverted to a more organic, live sound. The shift really helped revitalise the band who ended up producing a superb album - even if we do say it ourselves! We hope you all agree as you get to hear it. Jay says, "Everything on the record is live. It's a real band record. The last, album - fantastic - but the whole thing became a little sterile. This time we've captured the flow of our live performances'. The album has been recorded mainly at Jay's home studio in Buckinghamshire, and also at legendary Hook End Manor in Oxfordshire. The album is entirely written by Jay Kay and the band, and produced by Jay alongside first time collaborators Charlie Russell and Brad Spencer. The first taster of the album will be the rattling groove of 'White Knuckle Ride', available only on strictly limited edition vinyl prior to the album. It's a hi-octane retrospective on Jay's career experiences - a cautionary tale equally applicable to anyone's life in these pressure cooker times. This will be followed by lead single 'Blue Skies' in November, an epic, blissful, sun-kissed Californian mid tempo song with lush string arrangements and perhaps Jay's most emotive vocal to date - pure class. The album artwork photo was taken by Mitch Jenkins during the concert in Carhaix, France on 18 July 2010. 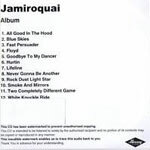 Following unconfirmed tracklistings floating around ever since the announcement of the album jamiroquai.com posted a confirmed track list on 17 September 2010. In its first week of UK sales the album sold 34,378 copies putting it at number seven in the official UK album chart. In the UK it received the following certified sales awards from the British Phonographic Industry - Silver Certification (60,000 copies sole) on 26 November 2010 and Gold Certification (100,000 copies sold) on 17 December 2010. The Alan Braxe and Fred Falke remixes of White Knuckle Ride and Blue Skies respectively are 'Radio Edit' versions of these tracks. At the start of April 2012 it was announced that Rock Dust Light Star would get a long awaited North American release later the same month. The album would be released by Executive Music Group and has new artwork exclusive to this release. Physical and digital editions of the album would be available. Official five track promo CD. 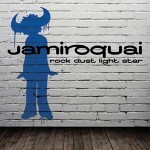 The 'Jamiroquai' text is white with the 'Rock Dust Light Star' and buffalo man image in reflective silver (which does not show in the scan). This watermarked promo CDR is accompanied by a press-release sheet dated 23 August 2010. The tracklist on the CD has slightly different track names and is also in a different order to the official album release. At the start of April 2012 it was announced that Rock Dust Light Star would get a long awaited North American release later the same month. This vinyl release together with a bonus CD containing the album was released as part of 'Record Store Day' exclusive as part of this annual event.